Hot off the presses is Technicore Underground Inc. v. Toronto (City) in which the Ontario Court of Appeal has upheld the lower Court’s decision to dismiss a contractor’s (Clearway) claim against the owner (City of Toronto) as a result of Clearway’s failure to give the City of Toronto notice of its claim within 30 days “…after completion of the work affected by the situation” as was required by the contract between the parties. Clearway gave the City of Toronto notice for part of its claim within the 30 day period required by the contract but didn’t give notice of another, much larger, component of its desired claim until more than three years later and within the context of the litigation that was commenced following the initial notice was given. The City of Toronto brought a motion for partial summary judgment to dismiss the portion of Clearway’s claim for which notice had not been given within the required 30 days. The motions judge granted partial summary judgment and dismissed the bulk of Clearway’s claim (more than $2.1M) for failure to give notice as required by the contract. the City of Toronto waived its right to rely on the notice provision. The Court of Appeal rejected all of Clearway’s arguments and dismissed the appeal. In so doing, the Court relied heavily on the Supreme Court of Canada Decision in Corpex (1977) Inc. v. The Queen in right of Canada (and the BC and Ontario Decisions in Doyle Construction Co. v. Carling O’Keefe Breweries of Canada Ltd. and Bemar Construction (Ontario) Inc. v. Mississauga (City of)). I’m not going to repeat or summarize the Court’s reasoning but, if you are so inclined, it is worth the 15-20 minute read. For contractors and owners, the primary take-away from this Decision is the reminder of how critical it is to know what is in your contract, understand what is required in various situations, and if the contract requires that you do something – to do it! The consequences of failing to follow the requirements of your contract are not always this dramatic (and sometimes there will be some fact or event that can relieve you from a failure to comply) but why take the chance? For fellow lawyers, aside from the substantive utility and importance of this Decision, I think we can all take note of the increasingly obvious reality that one of the most effective, appropriate, and useful applications of the new Rule 20 regime for summary judgment motions is the early and inexpensive resolution of claims that can be determined on the basis of the interpretation of contractual provisions (and their application to uncontroversial facts). Can the Ontario Repair and Storage Liens Act be used to secure unpaid debts in the construction context? The short answer: Possibly sometimes, maybe. I recently had a case where this was one of the primary issues. My client was supplying coated structural steel for a large steel building. Raw (uncoated) steel was purchased in the US, shipped to Ontario to be coated by a third party subcontractor and, once coated, the steel was then shipped to the project site (located in another Province). 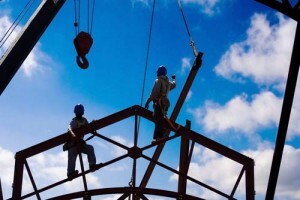 A dispute arose between my client and the subcontractor coating the steel regarding price and claimed extras and the subcontractor asserted a construction lien in relation to the steel already delivered to the project site and a possessory lien under section 3 of the Repair and Storage Liens Act (RSLA) over the steel still in the subcontractor’s possession. As you can see, these definitions are extremely broad and almost any item is capable of being an “article” and almost anything that someone can do to that item (with the expectation of compensation or profit) can be considered a “repair”. The real pinch, though, is just how powerful (and some might say draconian) the RSLA is – without getting into the fine legal details, it gives the party asserting the possessory lien the ability to hold the item(s) hostage, name its price, and barring early and expensive court challenge or the posting of security, sell the item(s) without any trial or court Order. No other statute in Ontario, that I’m aware of, gives a self-declared creditor that kind of power without any kind of pre-execution/pre-sale judicial process. Realistically, this apparent potential for misapplication of the RSLA in the manufacturing/construction process is not likely to have a frequent or significant effect on the general construction industry – the problem my client ran into with the RSLA can only practically arise when Party A delivers its own material to party B for Party B to “alter” or “improve” that material and then a dispute arises between Party A and Party B while Party B still has Party A’s “articles” in its possession. This is where Party B can hold Party A’s own material hostage to extract payment (or the posting of security) for Party A to secure its release. In the more common scenario where Party A is paying Party B money to build or “alter” or “improve” Party B’s own material, the RSLA doesn’t really work because Party B would simply be refusing to release its own material to Party A – doesn’t pack quite the same punch. If your business (or that of one of your clients if you are a lawyer or professional advisor) involves delivering materials to someone else for them to be altered or improved, beware the RSLA. Where this is the case, the RSLA permits the parties to contract out of the repairer’s right to a possessory lien (the opening words of section 3) and doing so should be given some very serious consideration. The opinion evidence of experts is not always admissible at the hearing of a motion or a trial. The Ontario Divisional Court recently handed down its Decision in Mastermeter Products Canada Inc. v. Corporation of the City of North Bay, 2012 ONSC 1887 (CanLII). The hearing involved an application for judicial review of the City of North Bay’s award of a contract for the supply and installation of water meters. Mastermeter complained that it had been treated unfairly by the City in the course of its procurement process and lost out on the contract as a result. Whether or not the bid process under RFP 2009-006 was conducted responsibly and with the requisite degree of fairness, openness and transparency applicable to major competitive procurement process. Mr. Stieber, counsel for the City, objected to the admissibility of the proffered opinion on the ground that it does not meet one of the criteria for the admission of expert evidence from R. v. Mohan, 1994 CanLII 80 (SCC),  2 S.C.R. 9, in that it is not necessary to assist the court. We agree that the proffered opinion does not meet the necessity criterion because the Court can form its own conclusion about the fairness of the City’s procedure without the assistance of the proffered expert testimony. Therefore, the affidavit of Mr. Kumar was struck at the outset of the hearing. Without getting into details of the rules and jurisprudence around expert evidence, as a general statement, the Court is to exercise a “gatekeeper” function – admitting the opinion evidence of experts where the subject matter of the evidence is outside of the expertise of judges (and provided it meets certain other criteria) and excluding the rest. Legal theory aside, one of the reasons that this gatekeeper function is so important is that expert evidence can be very expensive and can drive up the cost of litigation substantially. As such, only that expert opinion evidence which is helpful and necessary to the court to decide the case should be admitted. This is particularly true of construction litigation where expert opinion evidence is very, very common and the lawsuit often evolves into a “battle of the experts”. Too often, in my view, courts are prone to allowing parties to introduce “expert” evidence in areas where the judge has sufficient expertise and does not require assistance. In my view, if litigants can have the confidence that the court will exercise the gatekeeper function properly, as it did in this case, when an opposing party serves an “expert” report that is unhelpful and unnecessary to the court in deciding the issue for which the evidence is introduced, the recipient of that report can more confidently chose to avoid the time and significant expense of responding the the report and simply seek its exclusion at the trial or hearing. D’Urzo Demolition Inc. v. Damaris Developments Inc., 2012 ONSC 1912 (CanLII), released by the Ontario Superior Court of Justice on March 26, 2012, serves as a good reminder to owners and contractors of the importance of ensuring a mutual understanding of the specifications and other requirements of the work and then properly incorporating those documents and requirements into the construction contract. For litigation lawyers, it also serves as a good reminder of the importance of ensuring that adequate and flexible evidence of damages (whether Plaintiff’s damages or a Defendant’s claim for set-off) is obtained and brought to trial. 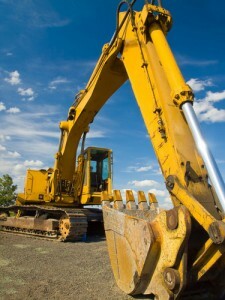 In a nutshell, D’Urzo Demolition Inc. (“D’Urzo”) was the successful bidder to demolish structures on a property in Toronto and then mechanically reduce the rubble into smaller crush. The owner, Damaris Developments Inc. (“Damaris”), took the position that the contract required D’Urzo to crush the concrete to ¾ inch and to also demolish curbs and asphalt and remove same from the site. D’Urzo took the position that it only had to reduce the rubble to size of 3 inches (and that a smaller crush would constitute an extra) and that demolishing the asphalt and curbs and removing same from the site was not included in the scope of work and, again, constituted an extra. At the end of the day, D’Urzo was substantially successful at trial – Damaris succeeded only in achieving a finding that the asphalt and curbs had to be demolished – D’Urzo succeeded in convincing the Court that the contract only required a 3 inch crush, that the asphalt should not have been required to be removed from the site and disposed of, and that Damaris was in breach of the contract for failing to pay. Of note for contractors and owners – the work was put out for tender, there were competitive bids, and the parties used a standard form (CCDC2) contract and they still ended up in protracted litigation (the lien was filed in May, 2007 and trial did not conclude until December, 2011 – almost 5 years!) arising from a failure to clearly and properly set out what work was required by the contract. 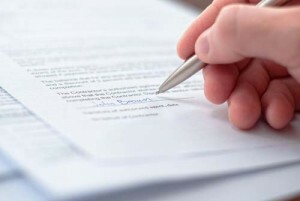 If you are going to go to the trouble of putting a job out for tender and then use a detailed and established form of contract, spend the time and money to make sure that the specifications and drawings that establish the scope of work are both clear and properly incorporated by the contract. Of note for lawyers – Damaris claimed $50,400.00 as its back charge to remove and dispose of the asphalt and curbs and provided evidence that this was what it cost. But Master Albert found at trial that D’Urzo only had to remove the asphalt, not dispose of it. Because Damaris’ evidence didn’t breakdown the back charge between removal and disposal, Master Albert had only D’Urzo’s evidence that the cost to remove the asphalt was $2,643.75 and he awarded that amount. This outcome highlights the risk of evidence limited to global amounts that aren’t broken down into component parts in case of divided findings at trial.